If you've been reading my blog for a while now you would know firstly I'm not very girly and secondary I love casual wear. Saying that I do try to mix things up and own the odd feminine items of clothing, a baby pink pleated midi skirt to name one. Despite not wearing the skirt much I'm glad I kept it as I hope to wear it more this year. 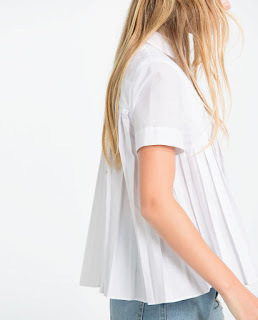 I think pleats add a touch of femininity but also it's a little preppy too which I like. 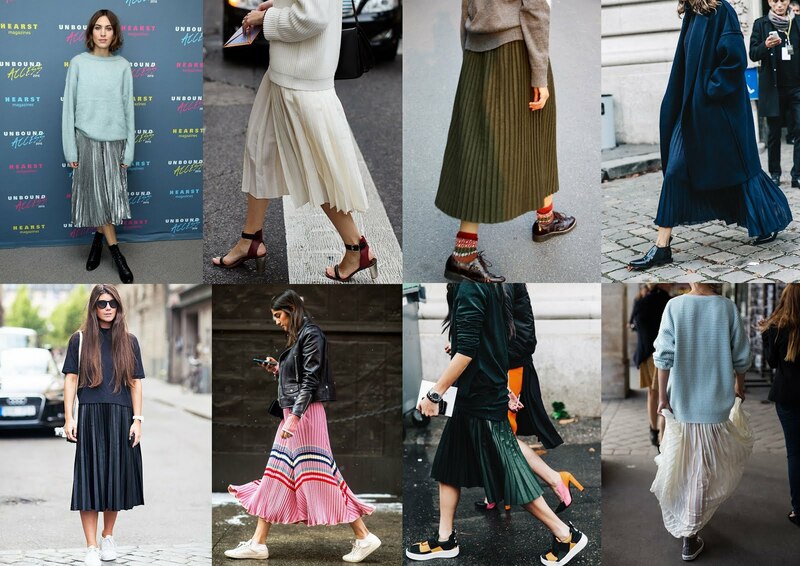 I'm not much of a heel person but genuinely think the best shoe to team with pleated skirts would be flats, trainers specifically. What to wear on top? The oversized jumper would be my choice for this type of on and off weather but when the temperatures rise wear with a t-shirt for that effortless look. 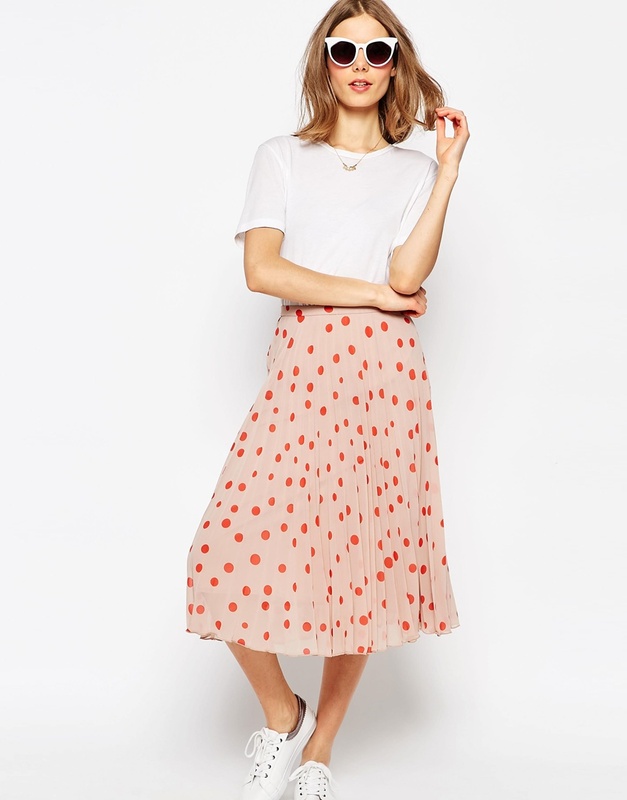 Try going for the midi length when buying skirts, also with an elastic waist so you can pull it up or down to your preferred length. What's on the high street? 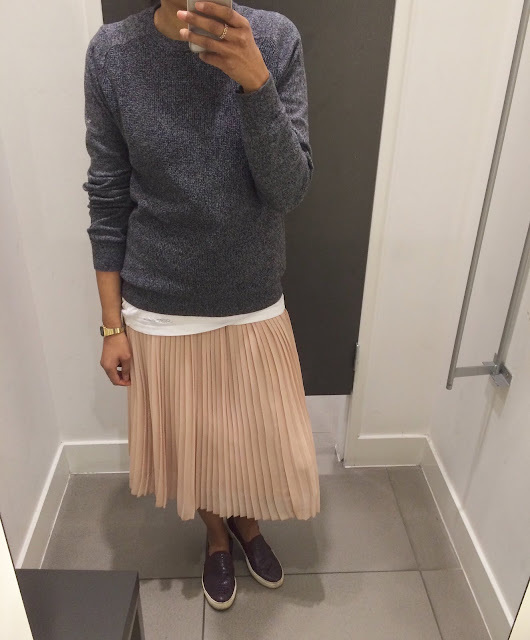 Topshop has a great selection of pleated skirts at the moment, the below is my favourite as I love the khaki colour. The yellow version is gorgeous too but most of the sizes have sold out online, worth checking the stores for stock. 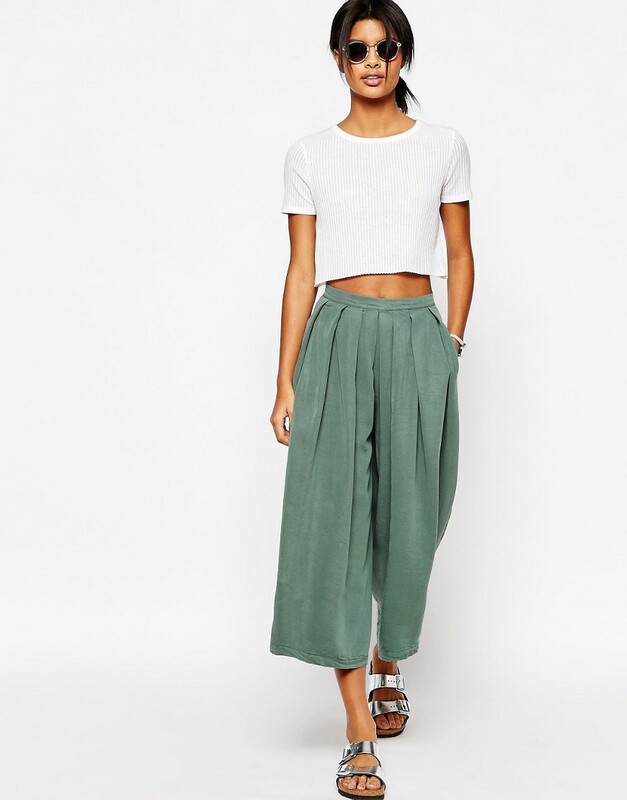 Try something like the below culottes which have subtle pleats on the front if you don't fancy a skirt. Or try a top, below left is from Zara and the right is from ASOS. 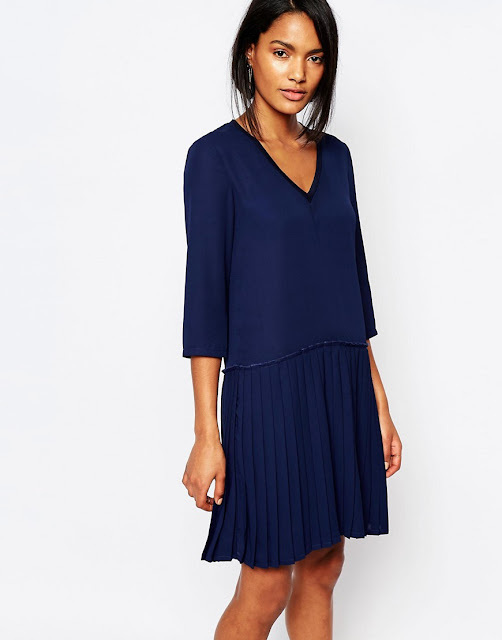 I love this pleated dress, perfect for wedding season or even as daywear paired with trainers. (Will do a post soon on wedding guest outfits). 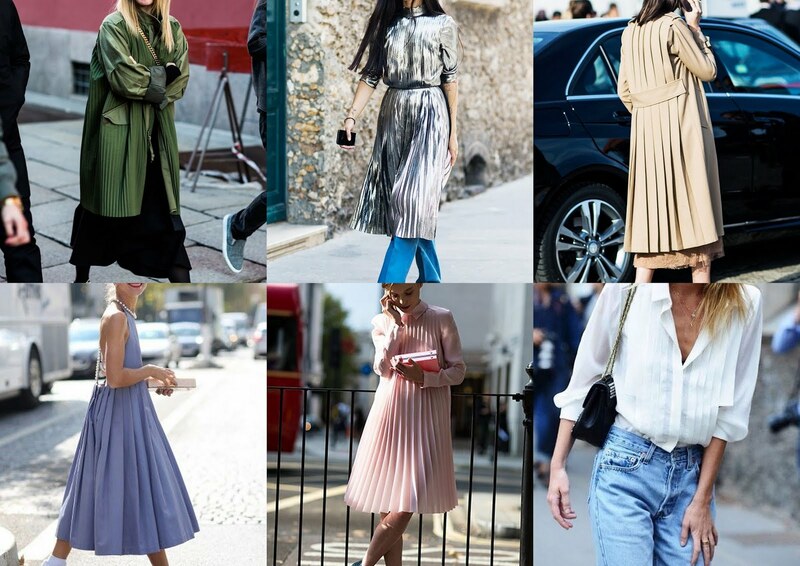 Street style images all from Pinterest.